The Qualcomm Toq is a brand of smartwatch produced by the chip company (Qualcomm). They have announced a forthcomming software update which will include speech recognition technology powered by the Nuance speech recognition engine (which also powers Apple’s Siri). 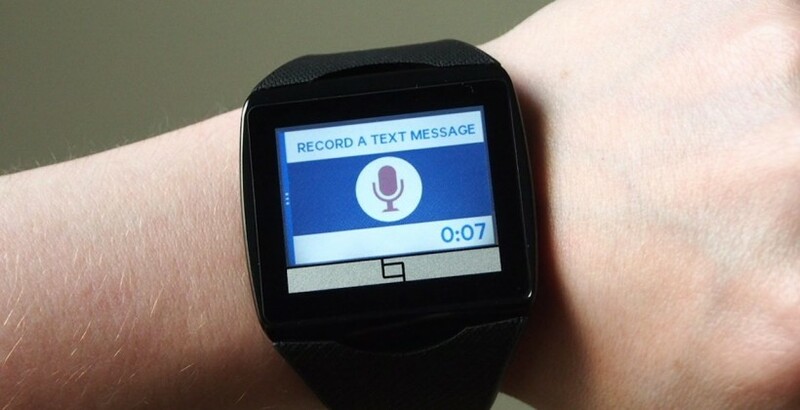 With the new software, the Toq smartwatch will let you reply to SMS messages using your voice alone. When you receive a text message, three icons will be displayed on the smartwatch screen for you tap on, depending on how you would like to reply. You can either reply with a preset text, dictate a reply via voice recognition, or call the sender. Tapping on the microphone icon gives you 10 seconds to dictate the reply. To send out the reply before the 10 seconds is up, tap the screen again. Thanks to Chris Davies at Slashgear who tested out the smartwatch. Although the device let’s you dictate text messages; email and social media isn’t supported yet, perhaps we will get those in future updates. The Qualcomm Toq smartwatch is currently available for Android devices only.